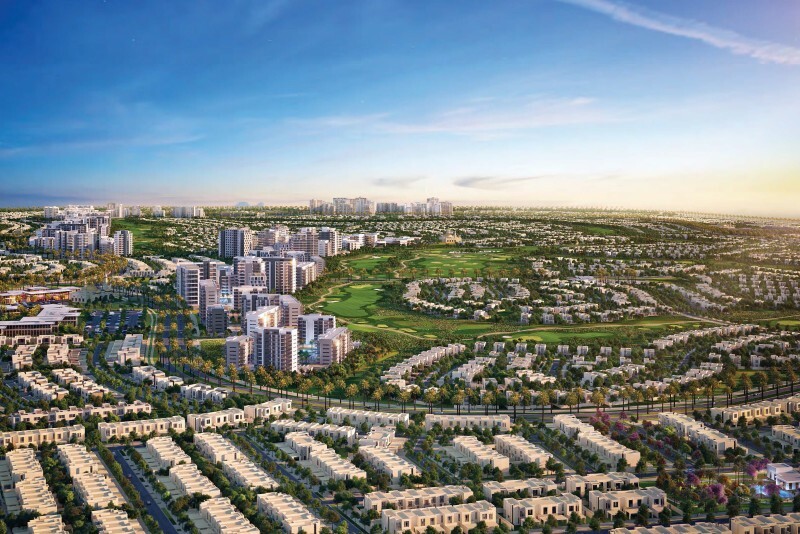 Urbana is a development of 324 tiered townhomes in a mixed-use development with a championship golf course in Emaar South. The homes are available with two or three bedrooms and are expected to be completed in September 2019. One-click links to properties currently on the market in Urbana 1 at Emaar South. Proposed amenities include a health club, gymnasium, basketball court, barbecue area, children’s play area and pool, championship golf course, café, park, mosque, school, restaurants and a retail centre. As of February 2017, bids for the main works were in post tender clarification stage, and grading and enabling works were progressing on the site.